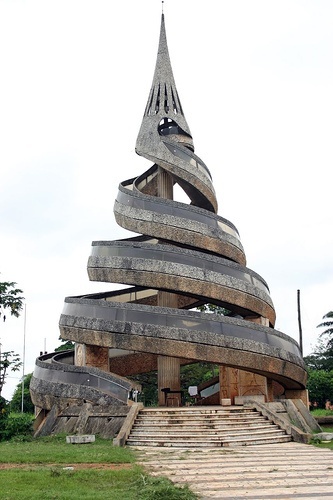 Yaoundé is the capital of Cameroon and, with a population of approximately 2.5 million, the second largest city in the country after the port city Douala. It lies in the center of the nation at an elevation of about 750 metres (2,500 ft) above sea level. The city centre houses government offices, some hotels, and the central market. The Bastos neighbourhood, with most homes owned by Cameroonians, is home to foreign embassies and the expatriate European community (drawn mainly from the diplomatic corps). The presidential palace and compound is in the Etoudi neighborhood.